Oded Fehr (born on November 23, 1970) is an Israeli film and television actor now based in the United States. He is known for his appearance as Ardeth Bay in the 1999 remake of The Mummy and its sequel The Mummy Returns, as well as Carlos Oliveira in Resident Evil: Apocalypse, Resident Evil: Extinction and Resident Evil: Retribution, Faris al-Farik in Sleeper Cell, the demon Zankou in the TV series Charmed and Eli Cohn on the TV series V. He recently portrayed Eyal Lavin, a Mossad agent, on the TV series Covert Affairs, as well as Beau Bronn on the TV series Jane by Design. This past season of NCIS, he played Ilan Bodnar, deputy director of Mossad. Fehr was born in Tel Aviv, Israel, the son of Gila (née Lachman), a day care supervisor, and Uri Fehr, a geophysicist. His parents' families were Jewish, and had come to Israel from Germany and the Netherlands. He has an older brother, a sister, and a younger half-sister. He trained at the Bristol Old Vic Theatre School in England after taking a very brief drama class in Frankfurt,Germany. He served in the Israeli Navy from 1989 to 1992 and used to work for security for El Al (Israel's airline) in Germany. 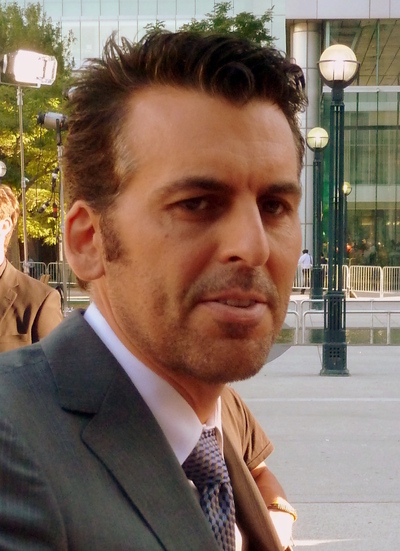 Oded Fehr's screen appearances include the 2001–02 NBC series UC: Undercover, the 2002–03 CBS series Presidio Med, and the 2004 movie release Resident Evil: Apocalypse (he reprised the role in the sequel, Resident Evil: Extinction). He provided the voice of Doctor Fate in Justice League Unlimited, played Antoine Laconte, a male prostitute in Rob Schneider's comedy Deuce Bigalow: Male Gigolo (1999) and made a cameo appearance as Antoine Laconte in Deuce Bigalow: European Gigolo (2005). He also acted in the American hit supernatural series Charmed, where he played the evil demon Zankou, the chief villain in that series' seventh season. Fehr is married to Rhonda Tollefson, whom he met at a Los Angeles opera. They married on December 22, 2000. The couple have two children: son Atticus (born January 4, 2003) and daughter Finley (born February 26, 2006). Fehr speaks Hebrew, English, and some German.